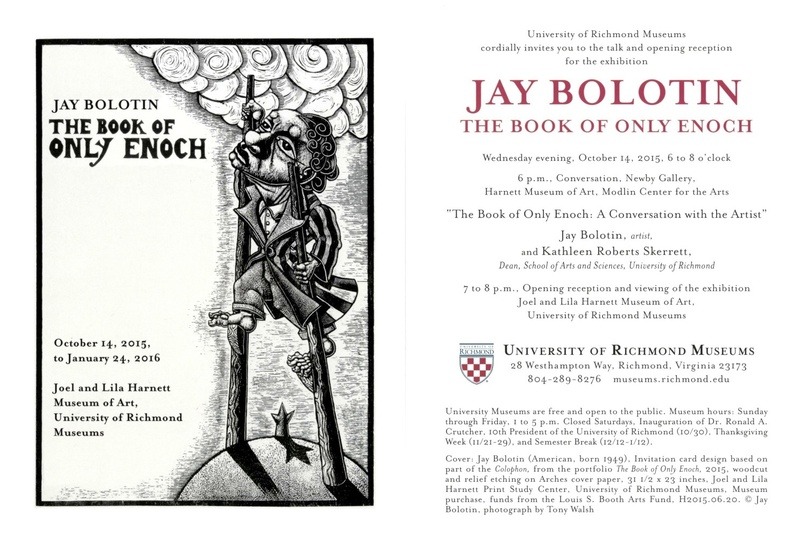 Dear Friends and Colleagues, I am excited to have the first complete exhibition of The Book of Only Enoch at the University of Richmond Museum - opening Oct. 14. If you or any of your friends or colleagues might be in Richmond, I hope you can attend. Soon, I will send along the announcement of a book they are publishing that I think will be very beautiful which will contain complete illustrations of the prints, a transcription of the text, and essays by Ilan Stavans and Kathleen Skerrett as well as an introduction by Director, Richard Waller.